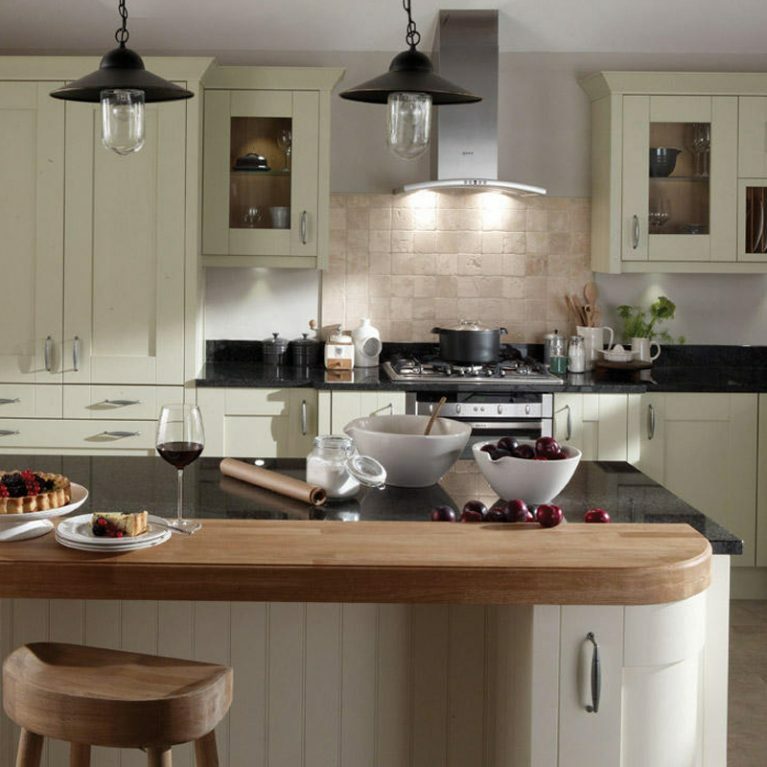 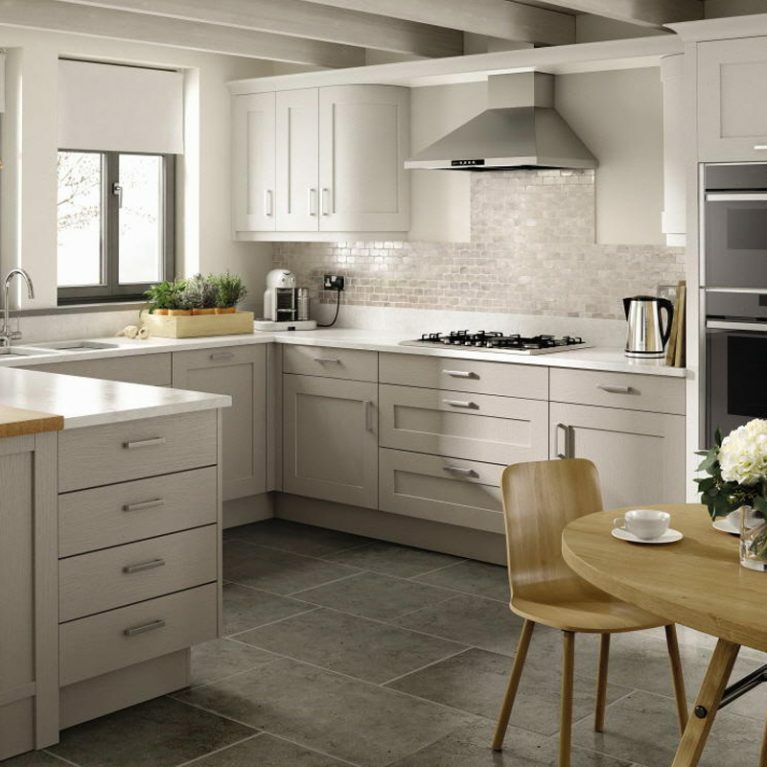 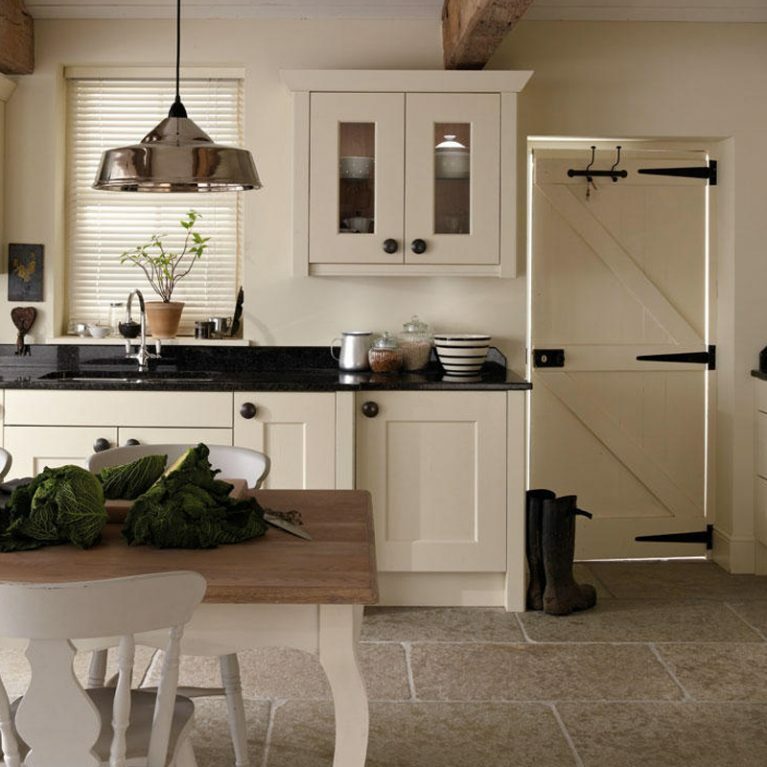 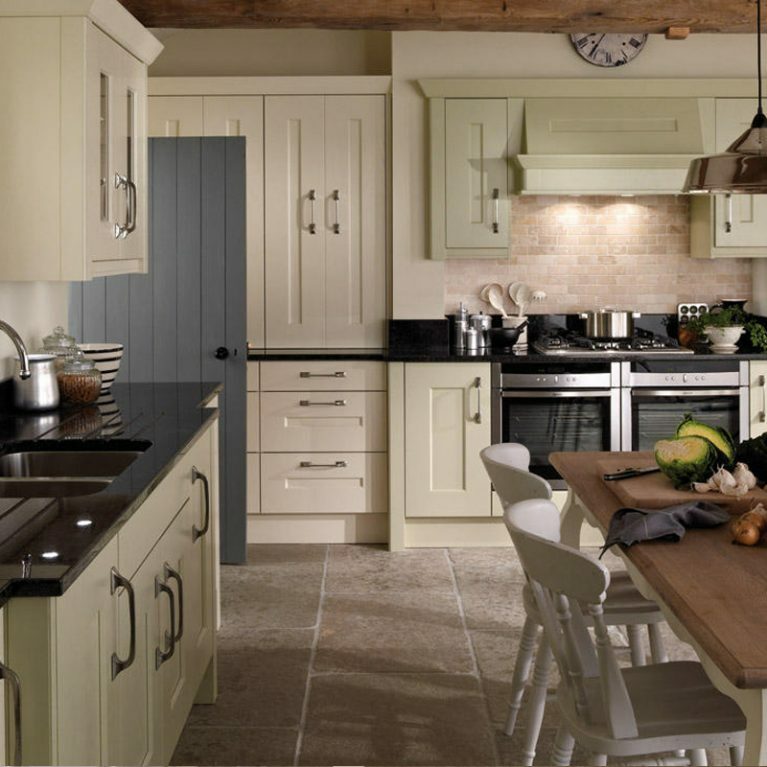 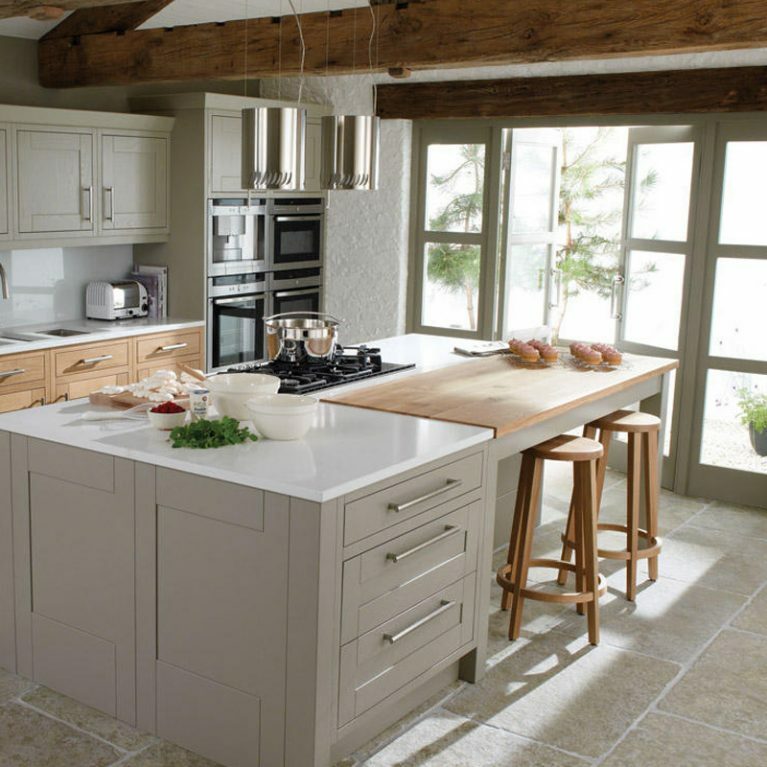 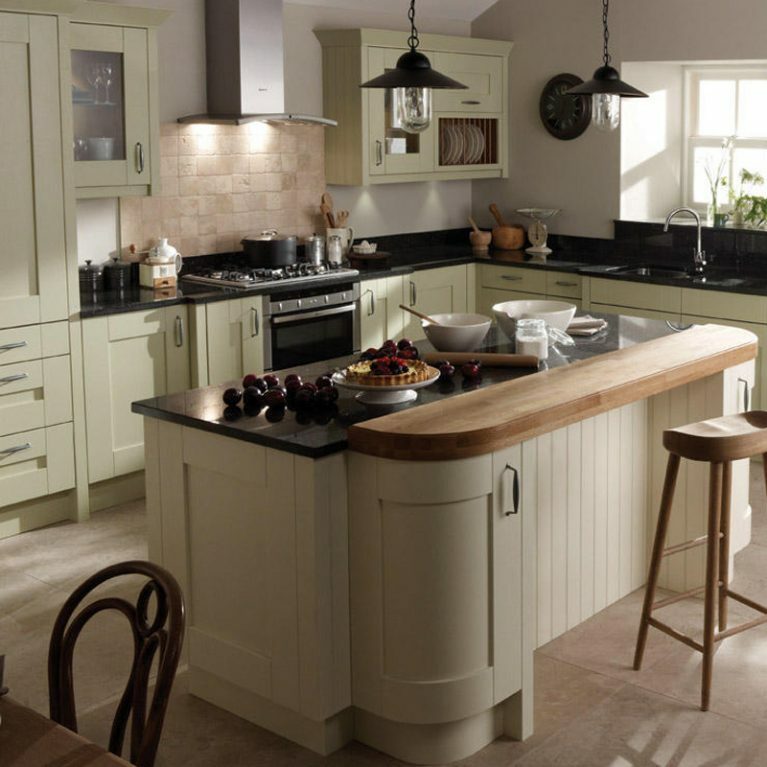 Alabaster is a stunning off-white shade which creates a simply gorgeous neutral foundation for any kitchen colour palette. 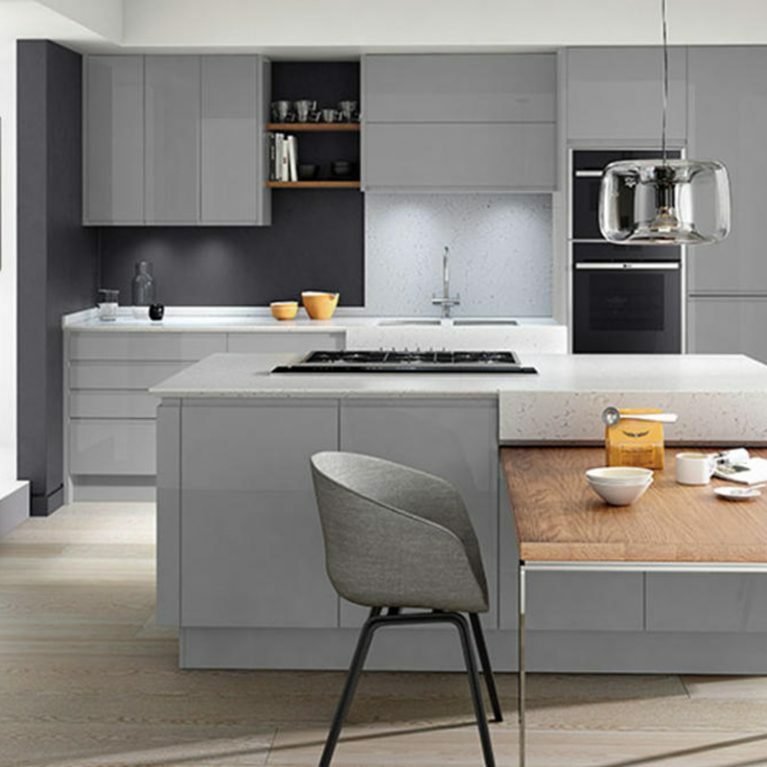 That’s why the Remo Alabaster is one of the most popular contemporary kitchen designs readily available to shop at Number One Kitchens. 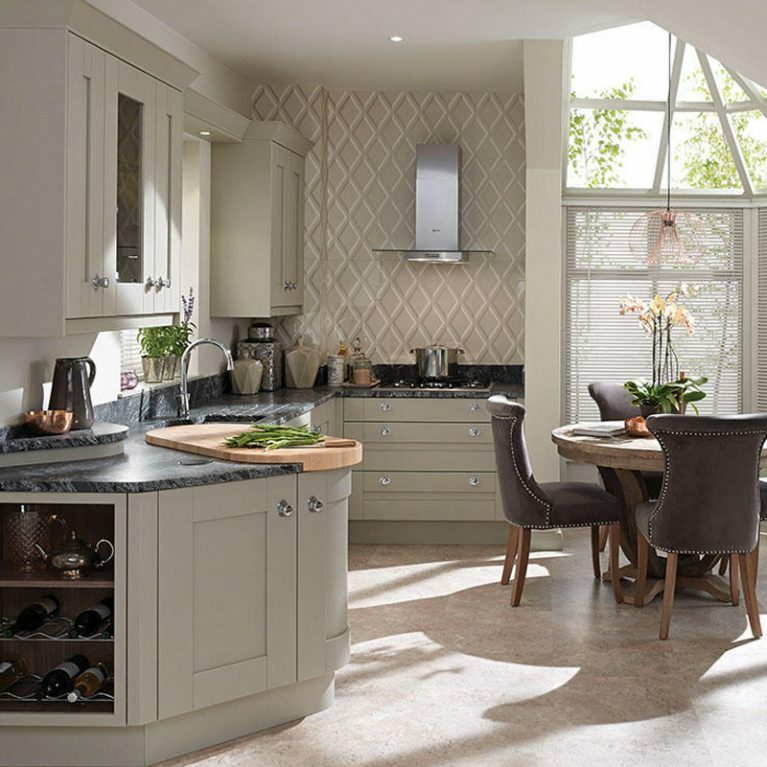 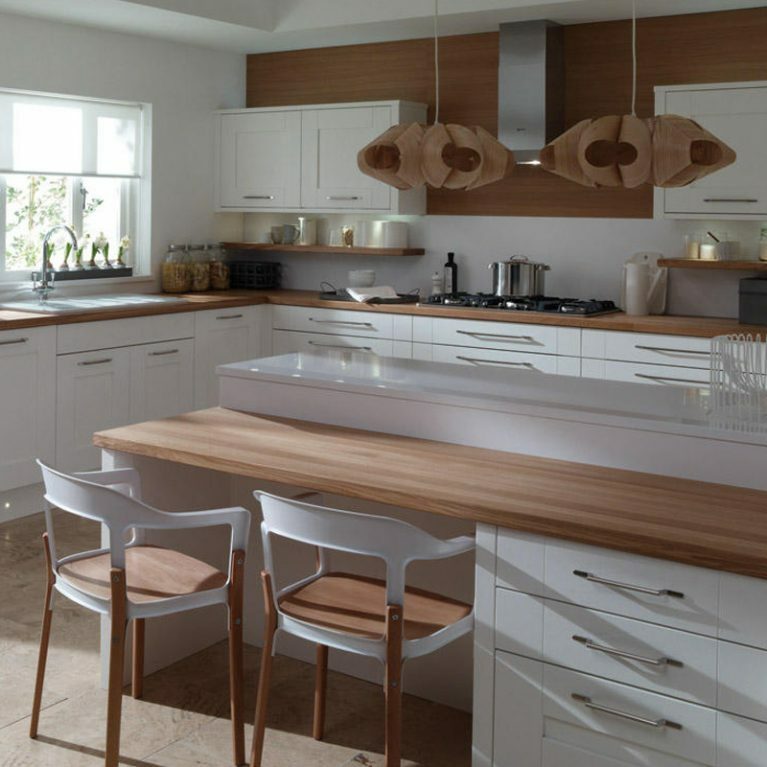 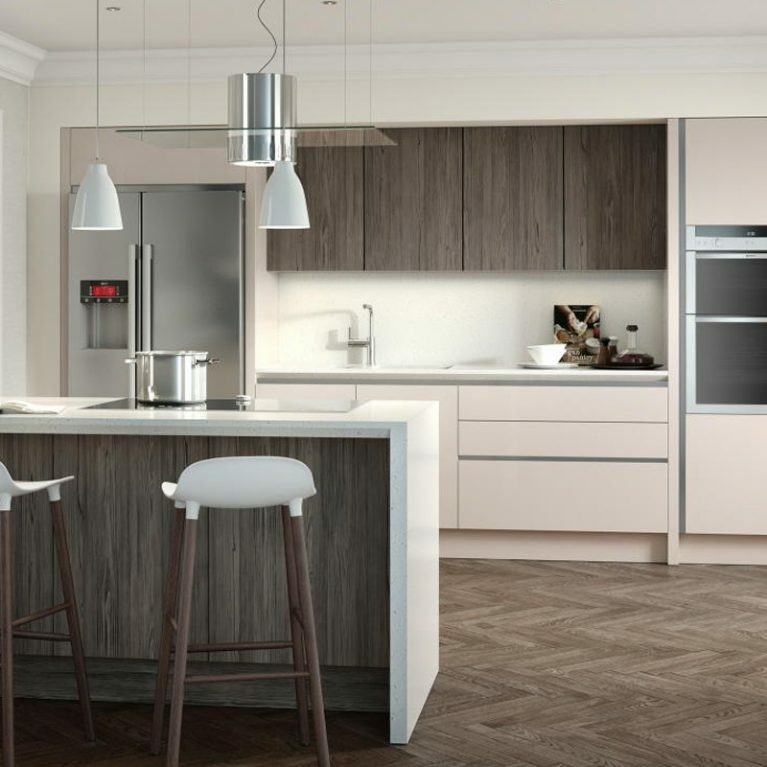 This incredible kitchen truly maximises the space for your kitchen design, offering a gorgeous and open-plan style that offers a multitude of storage opportunities for you. 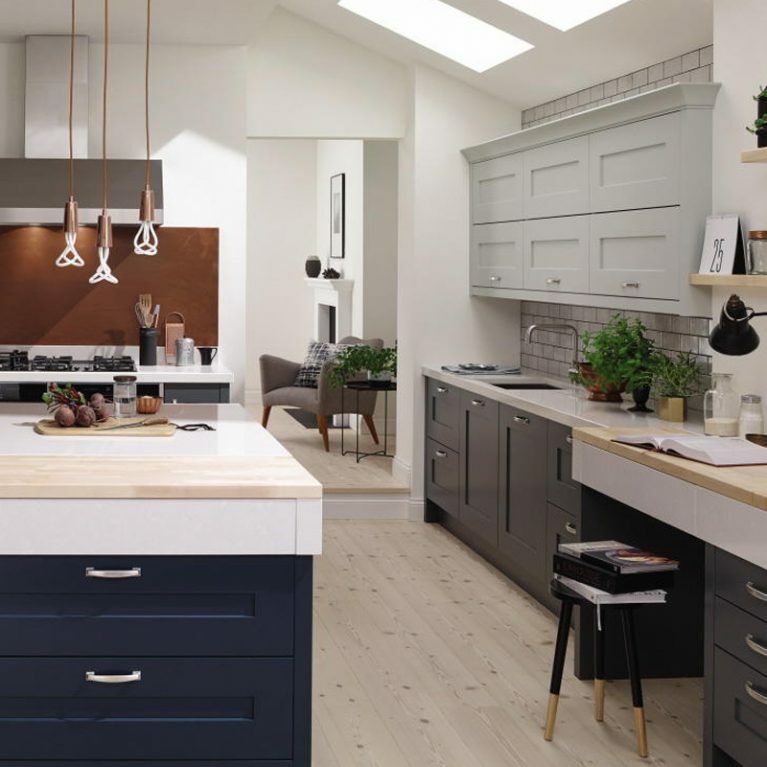 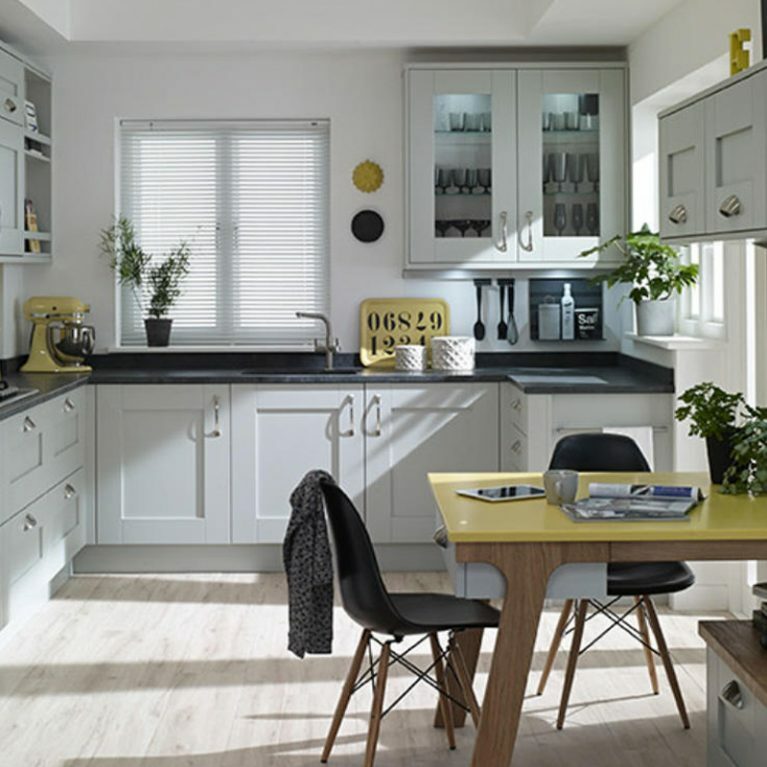 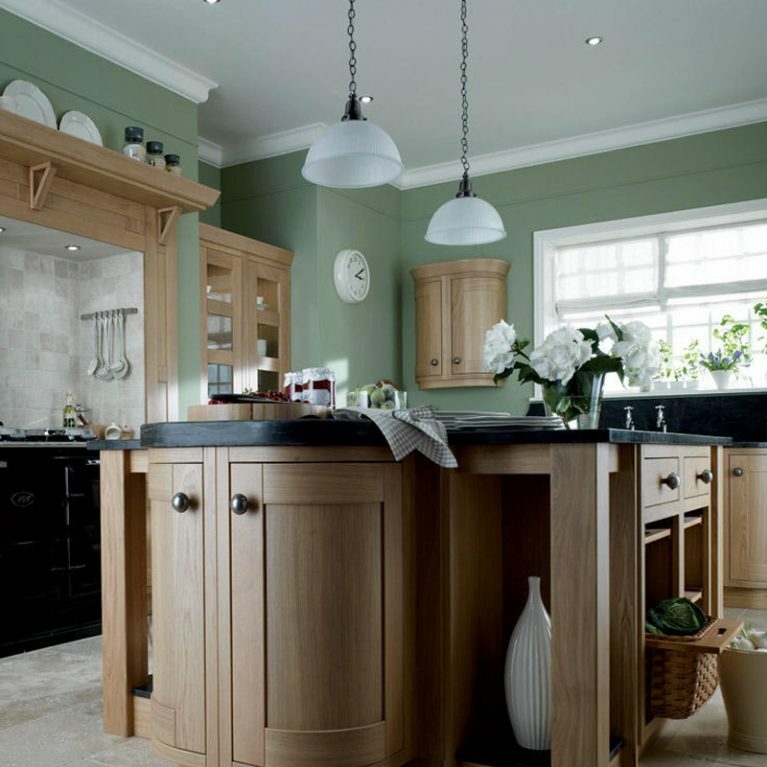 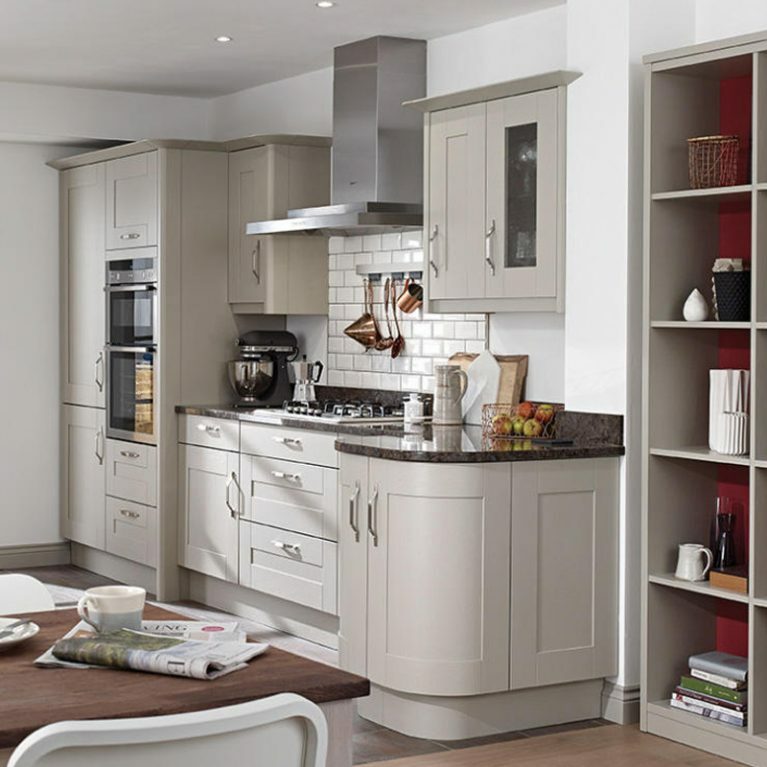 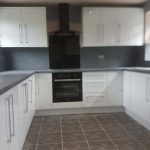 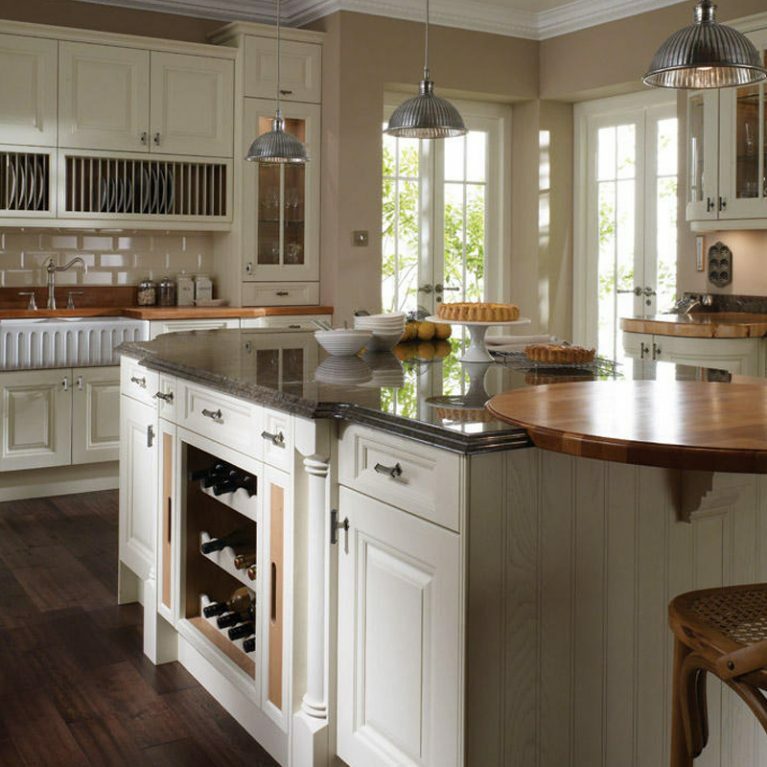 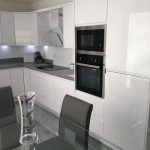 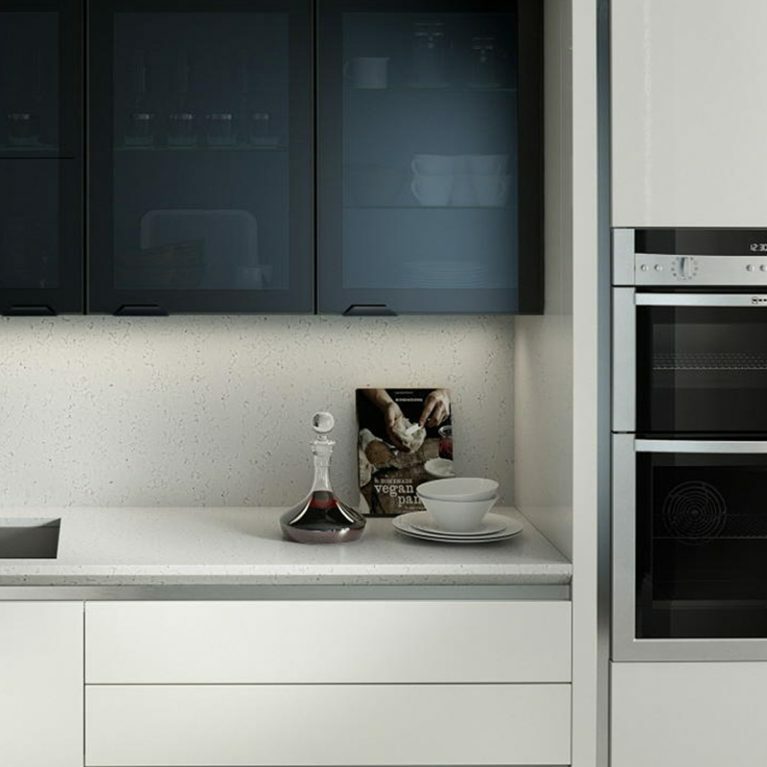 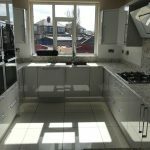 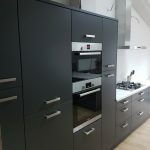 From smooth cupboards to subtle doors, you’ll be blown away by how many things you can keep in your kitchen without it getting cluttered, retaining the clean and sleek kitchen space you’d imagined. 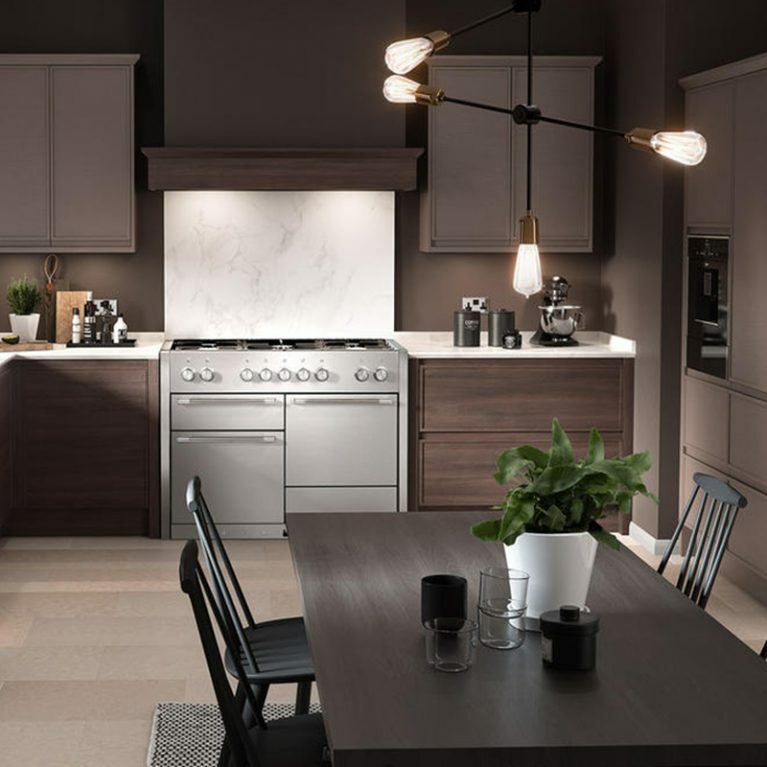 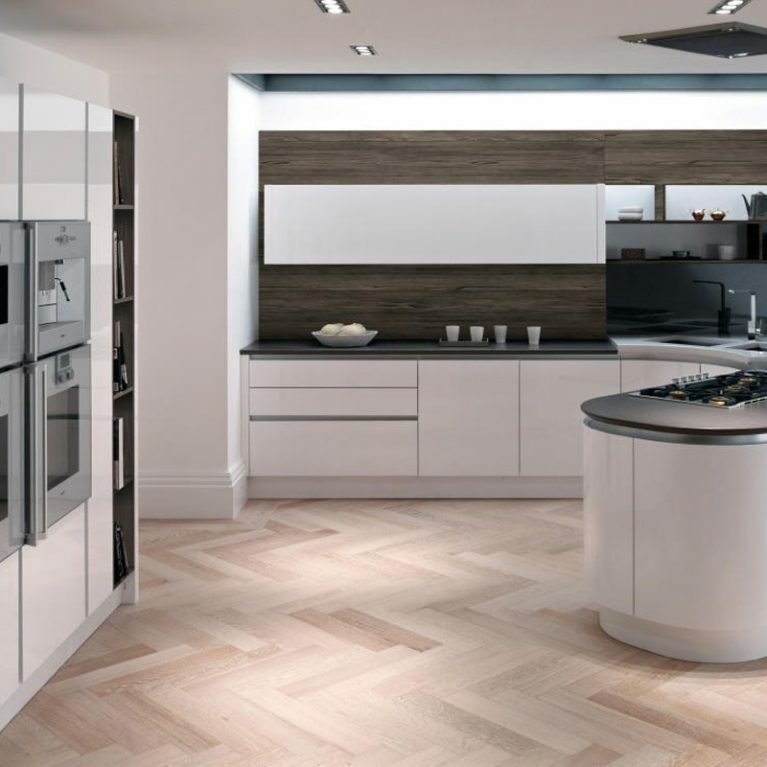 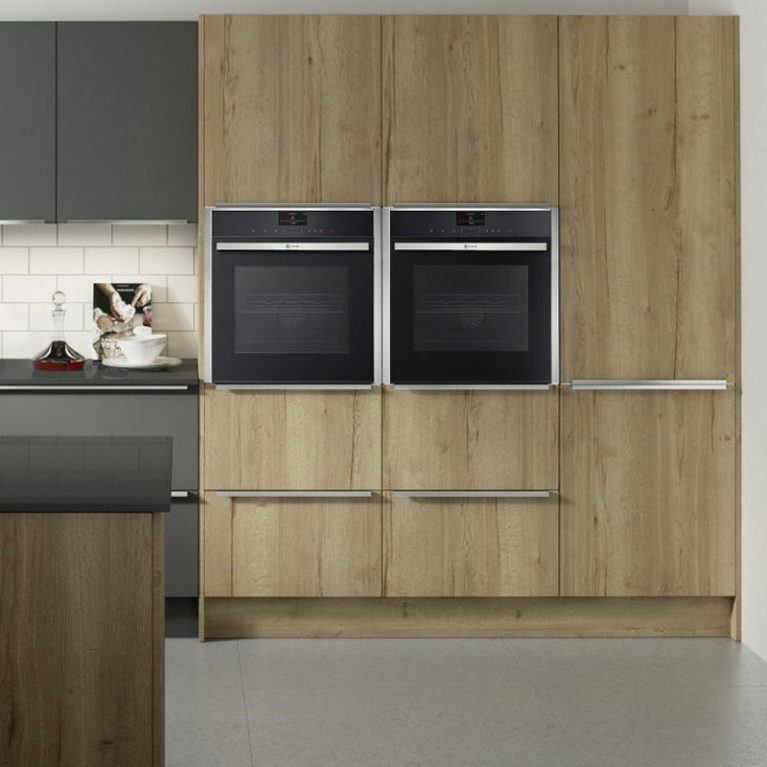 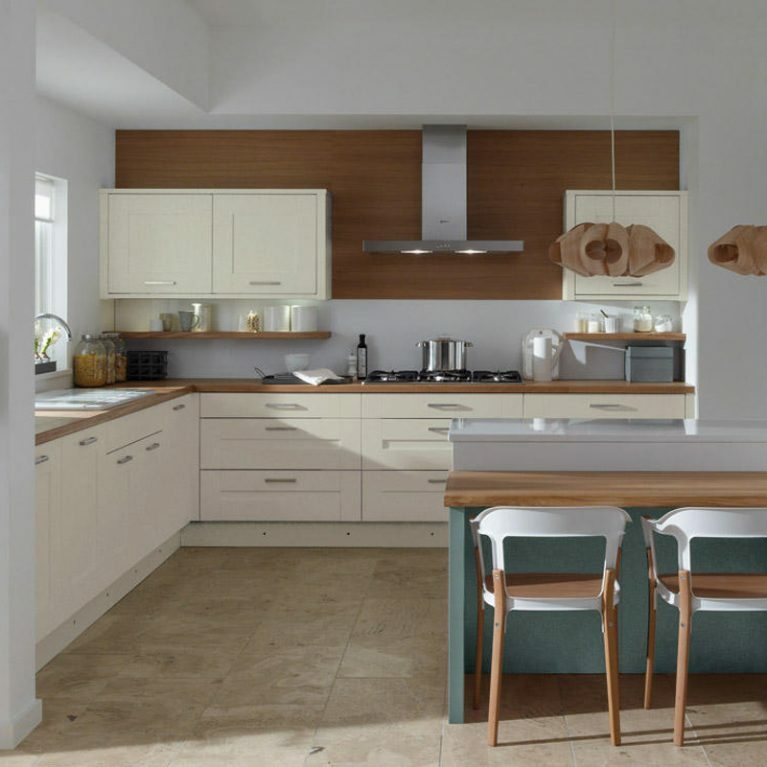 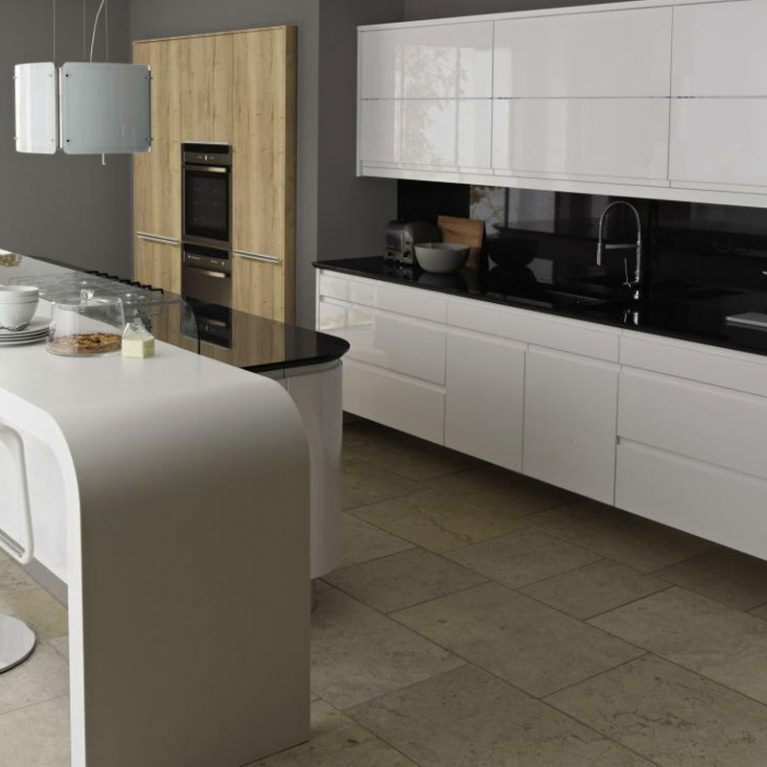 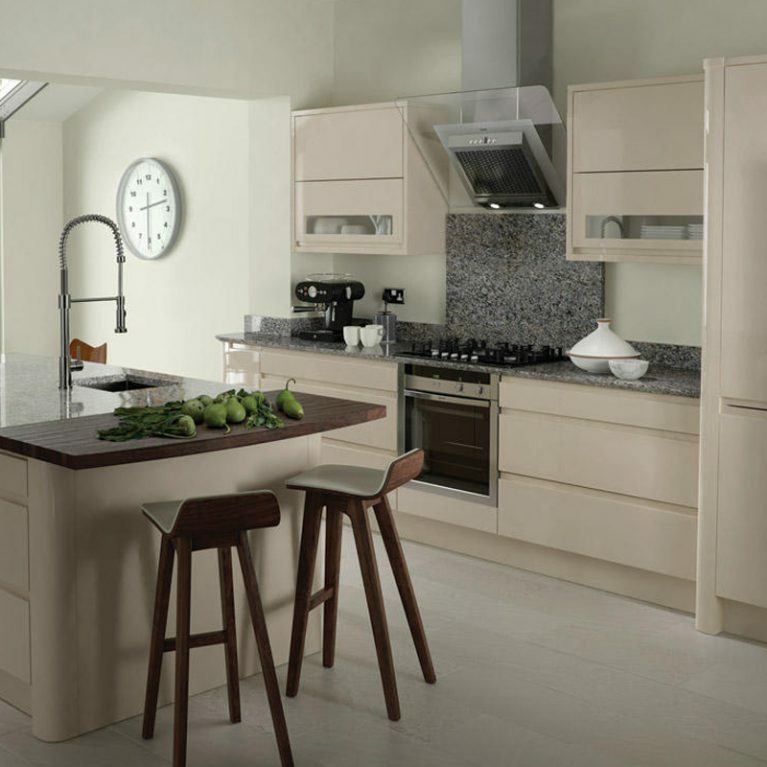 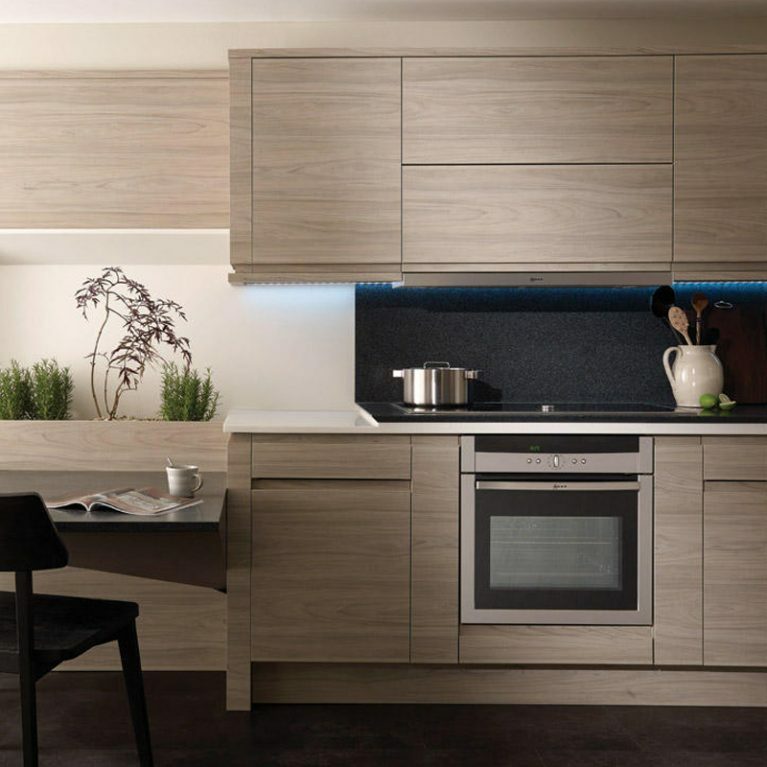 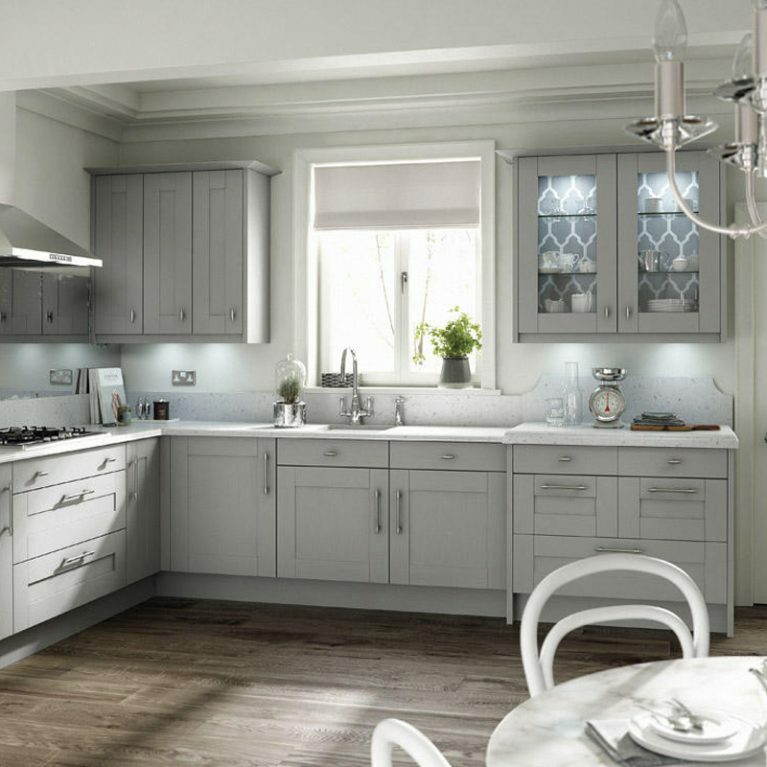 Durability is at the heart of the design for the Remo contemporary alabaster curved gloss kitchen, with means your incredible Remo kitchen will stand the test of time, both practically and stylishly too. 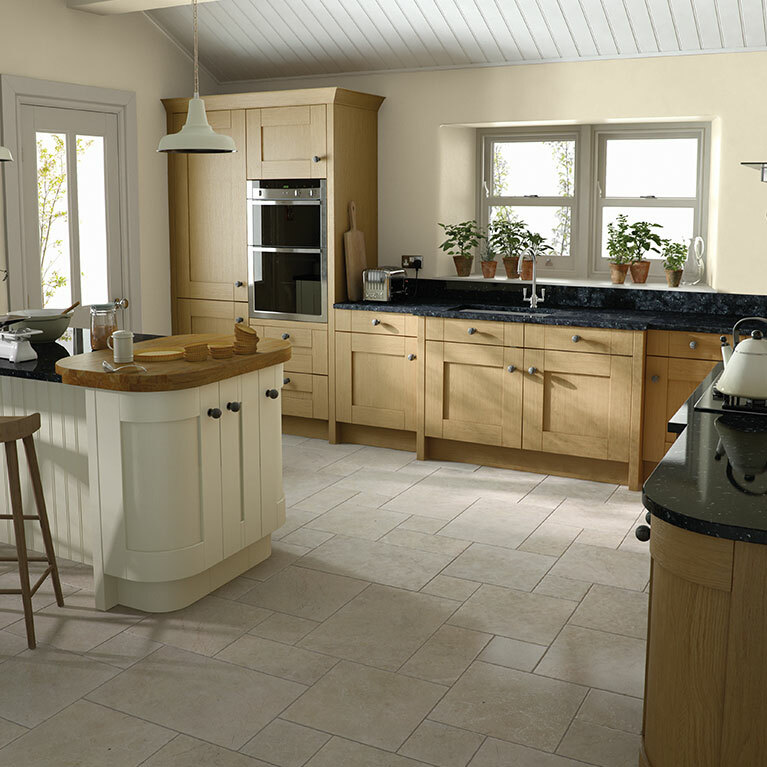 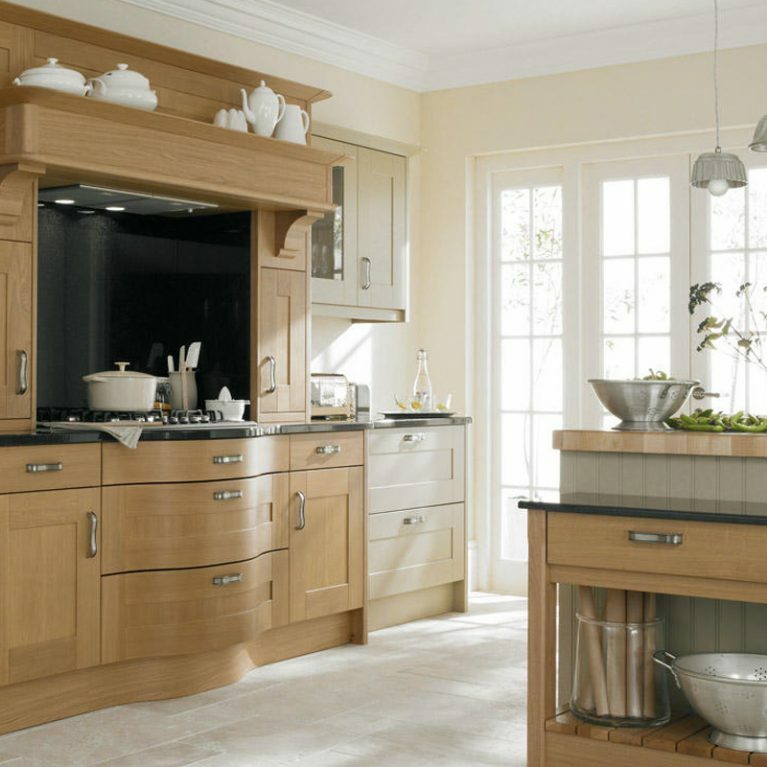 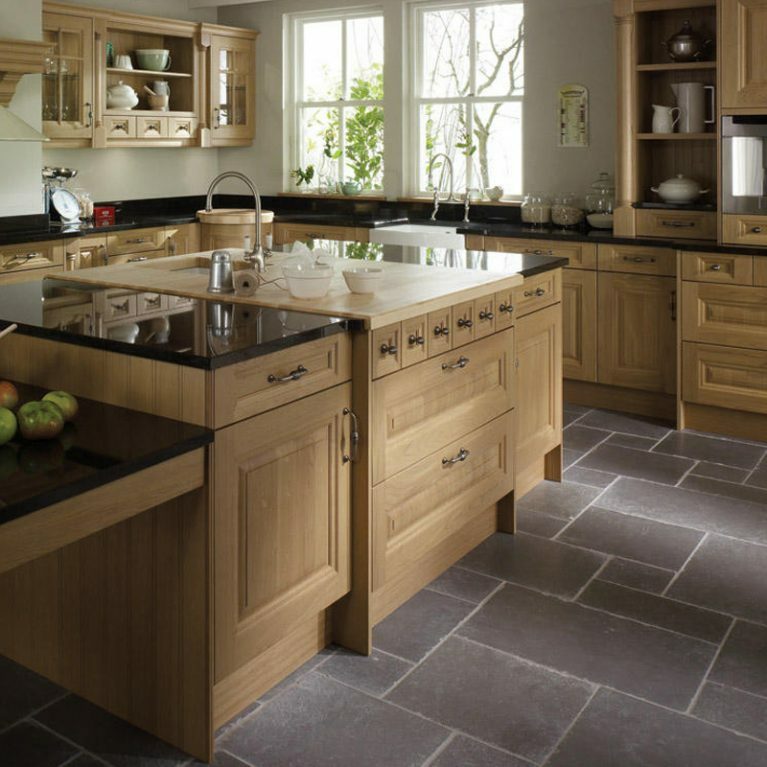 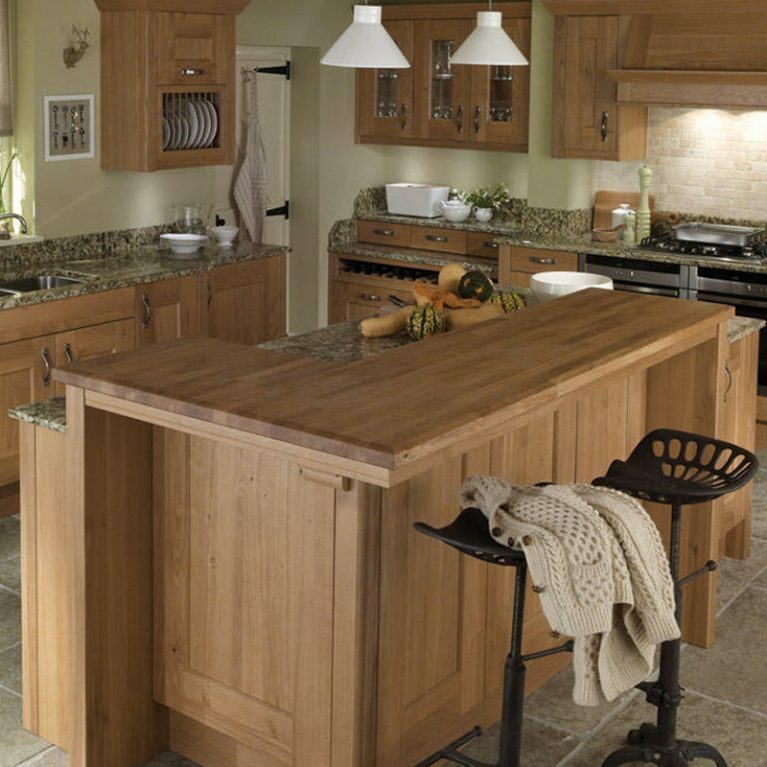 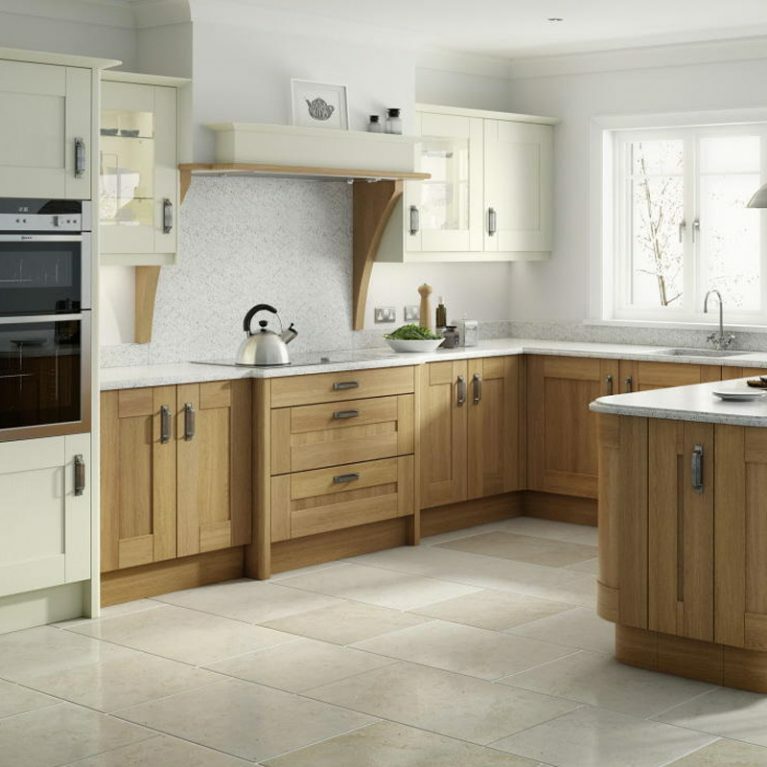 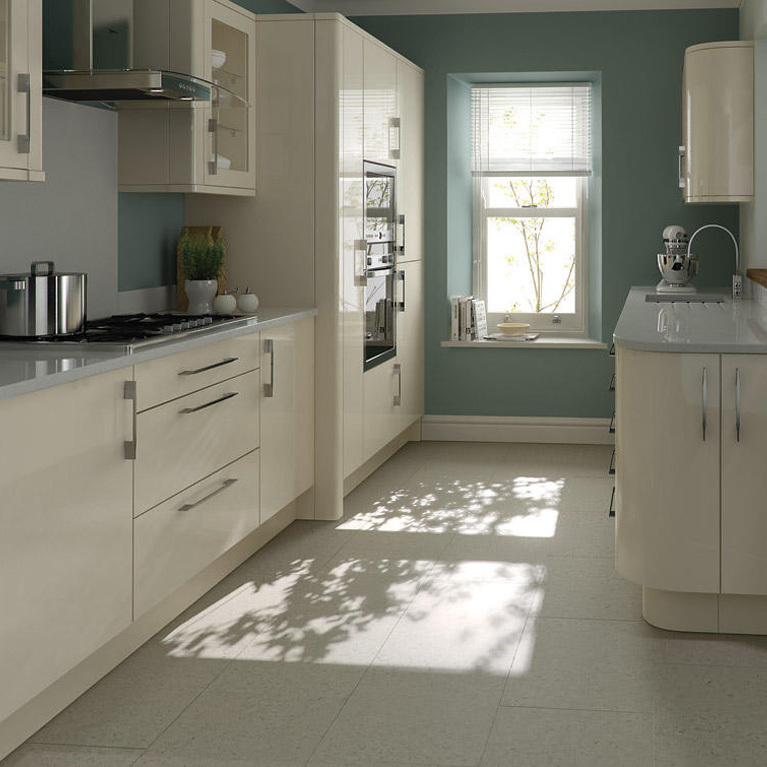 The integrated handle design creates a streamlined and beautiful contemporary finish. 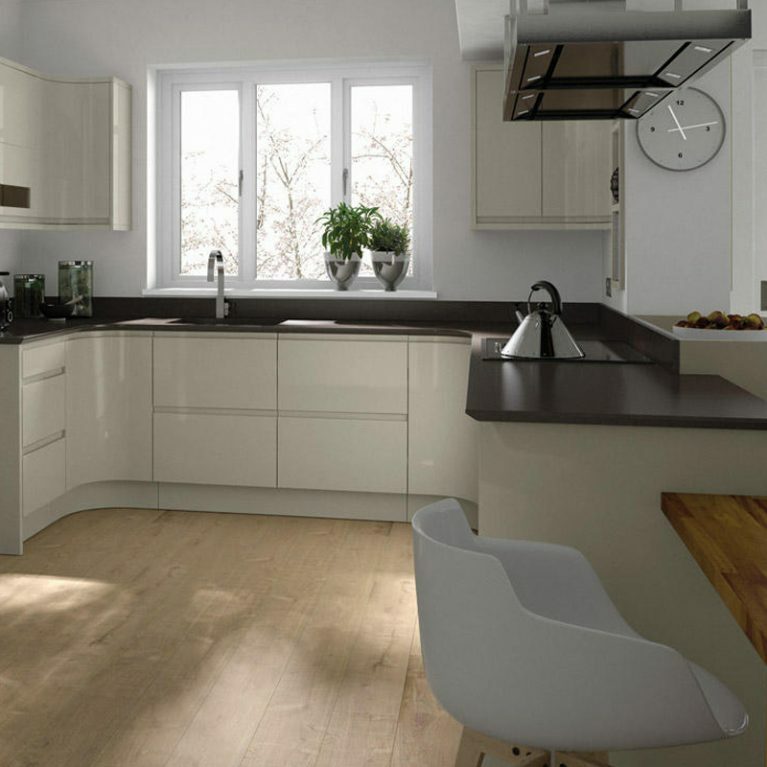 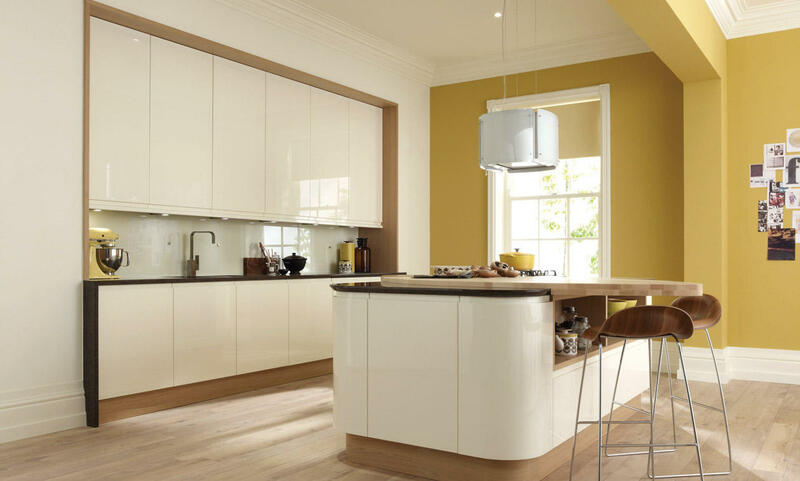 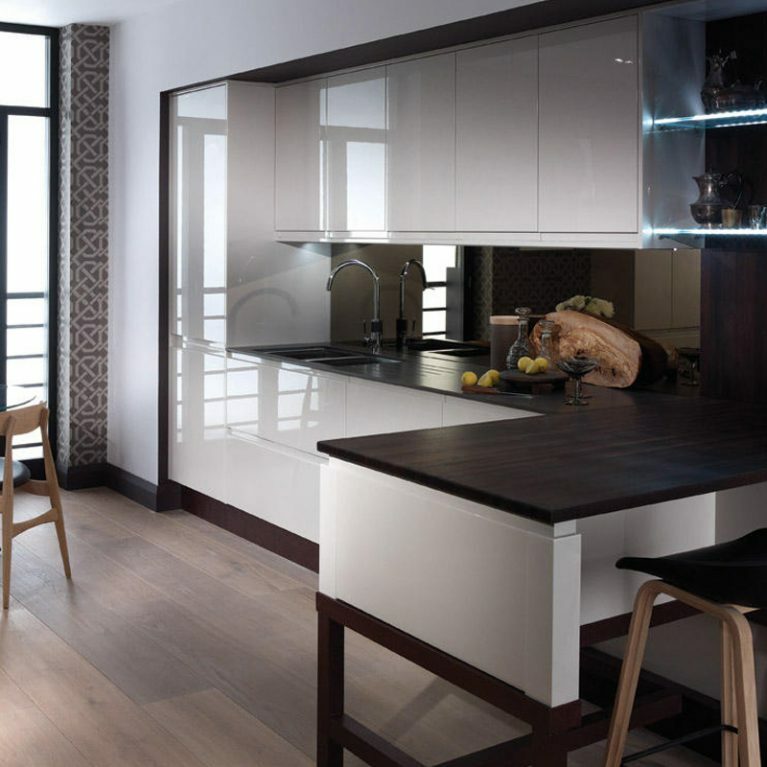 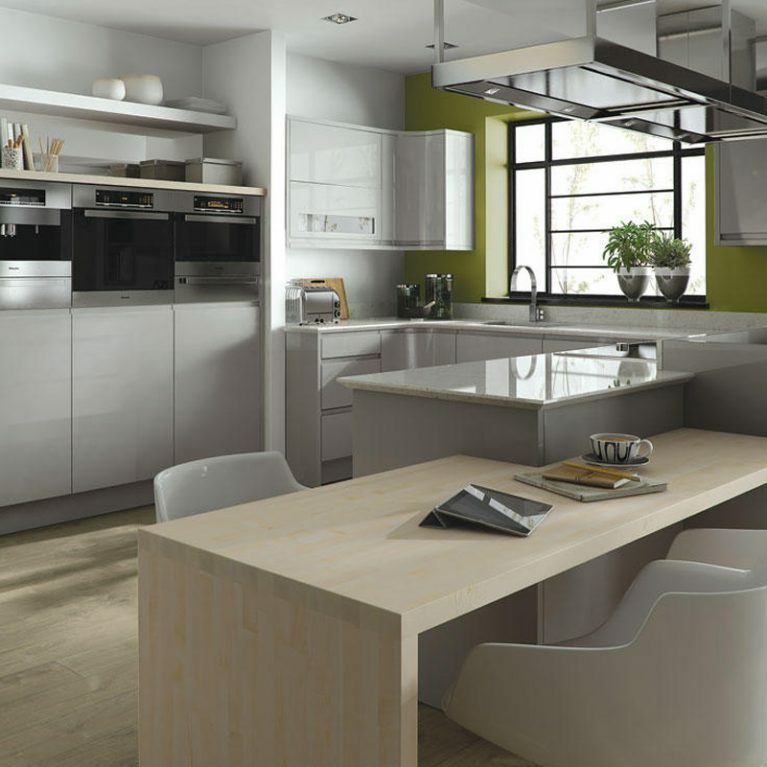 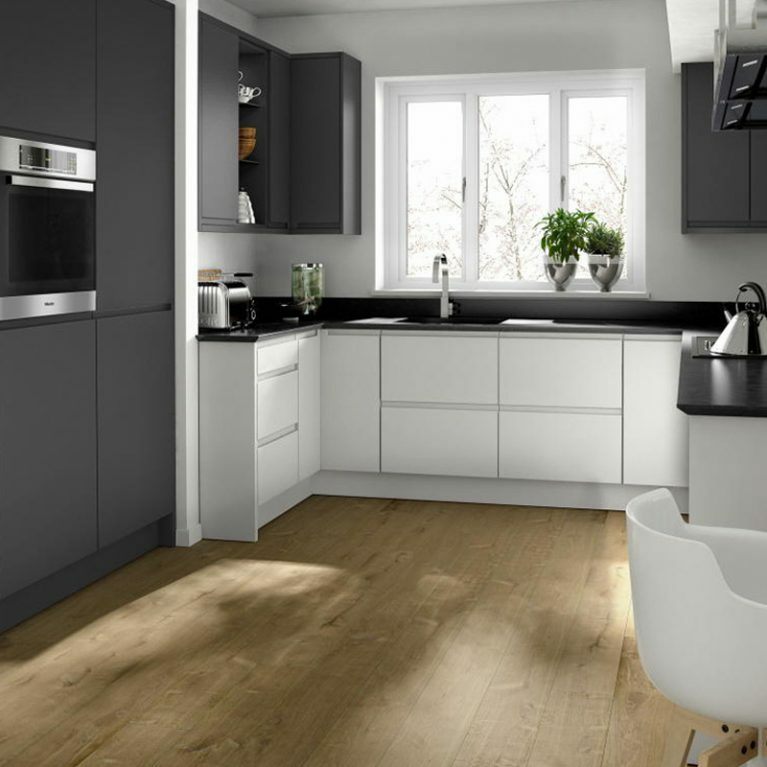 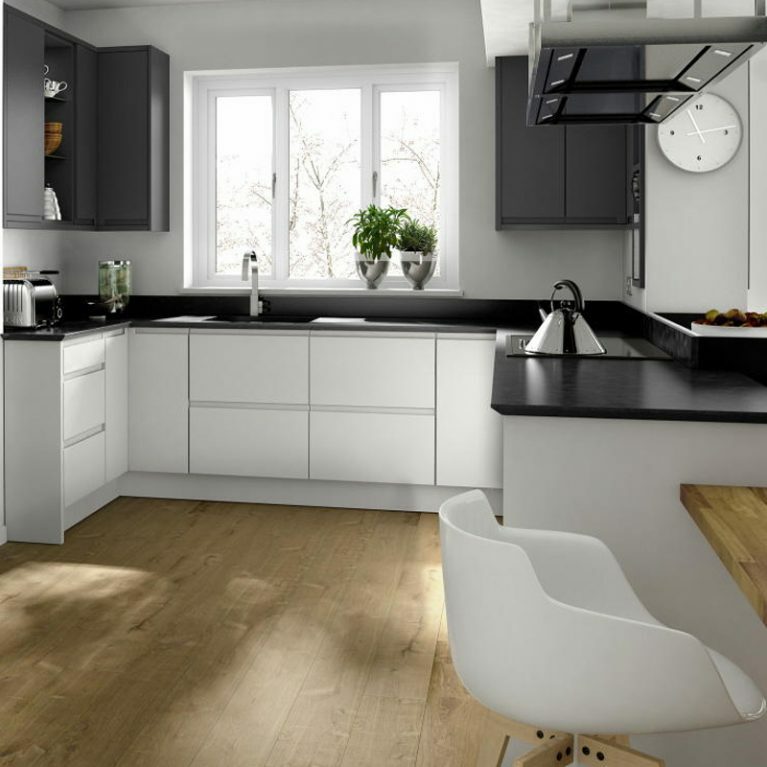 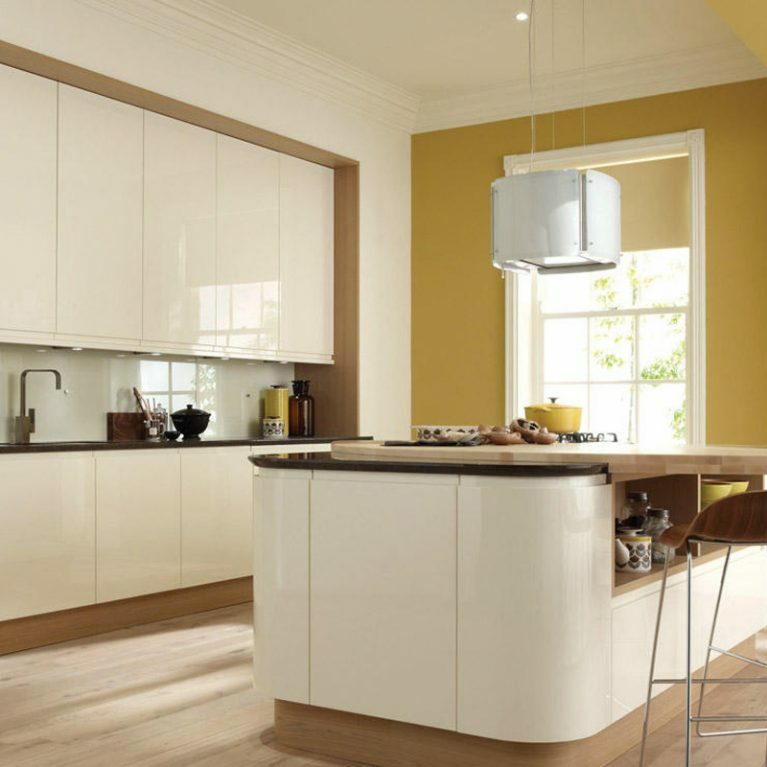 The lacquered glossy doors accentuate this look, creating a modern kitchen design that is guaranteed to make you swoon. 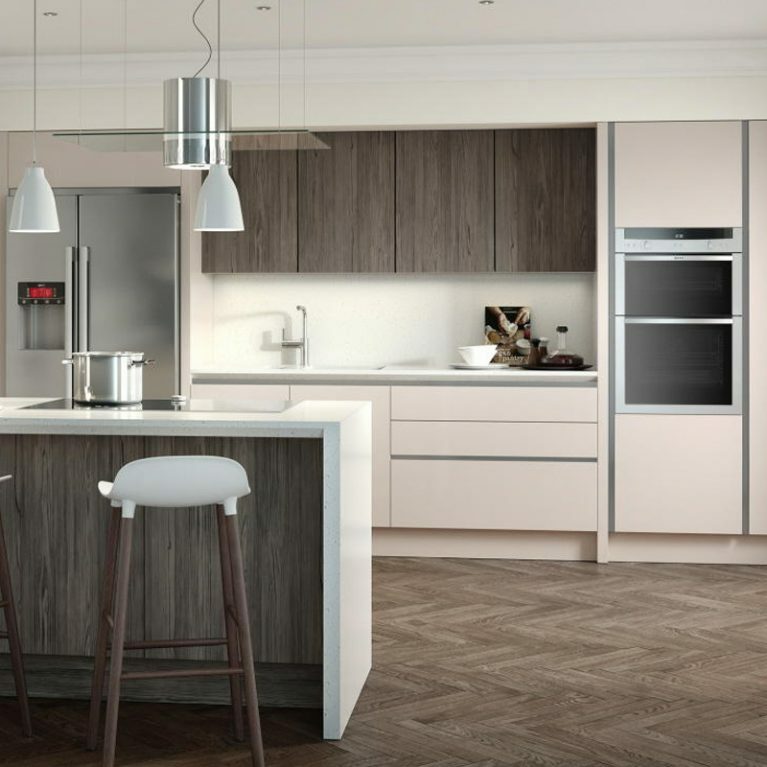 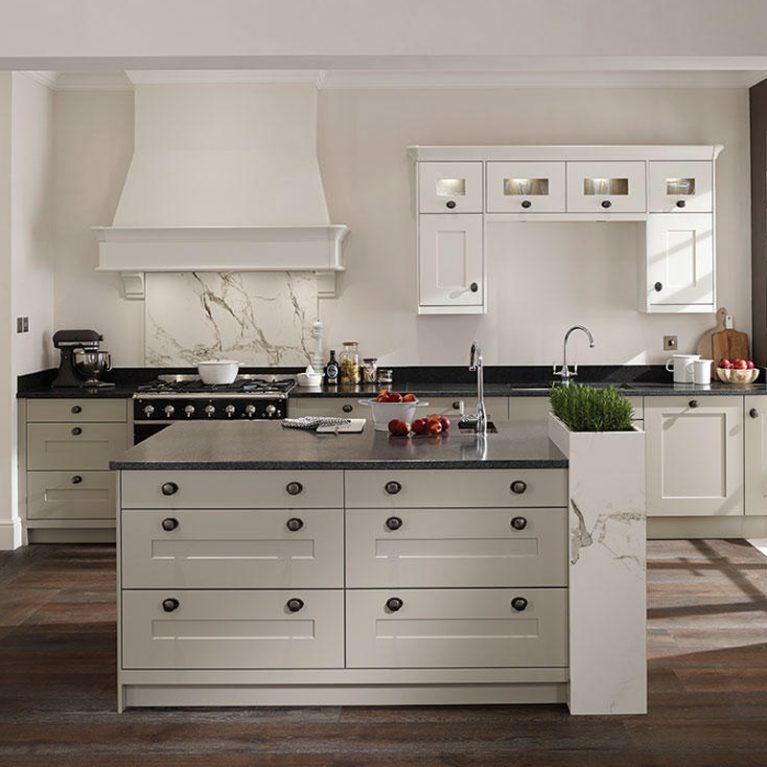 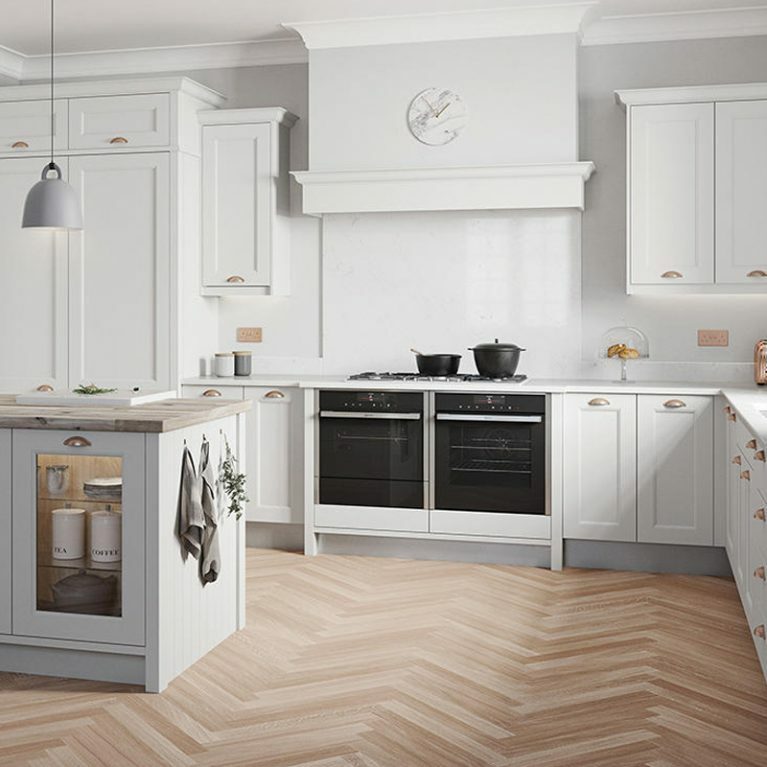 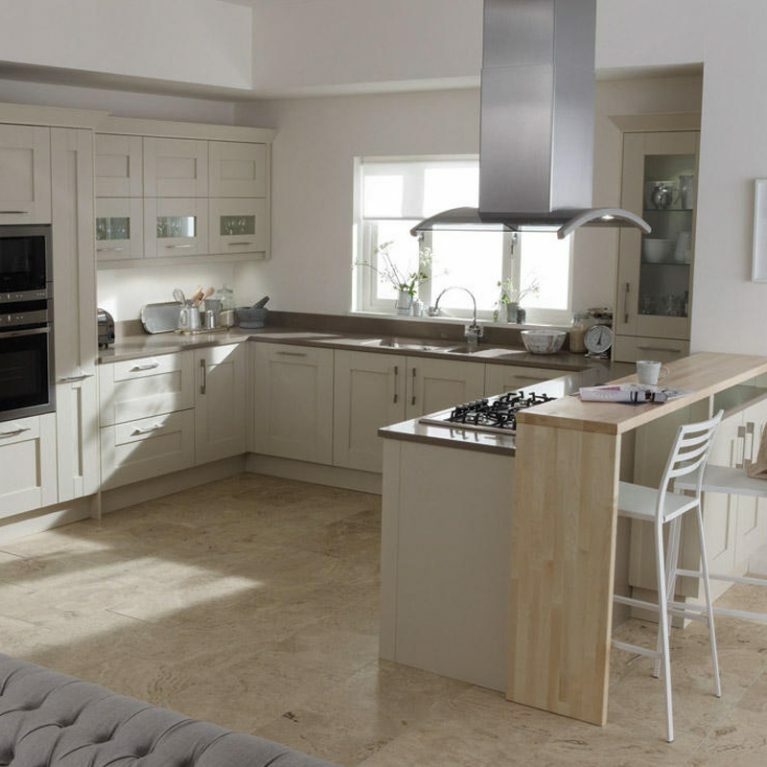 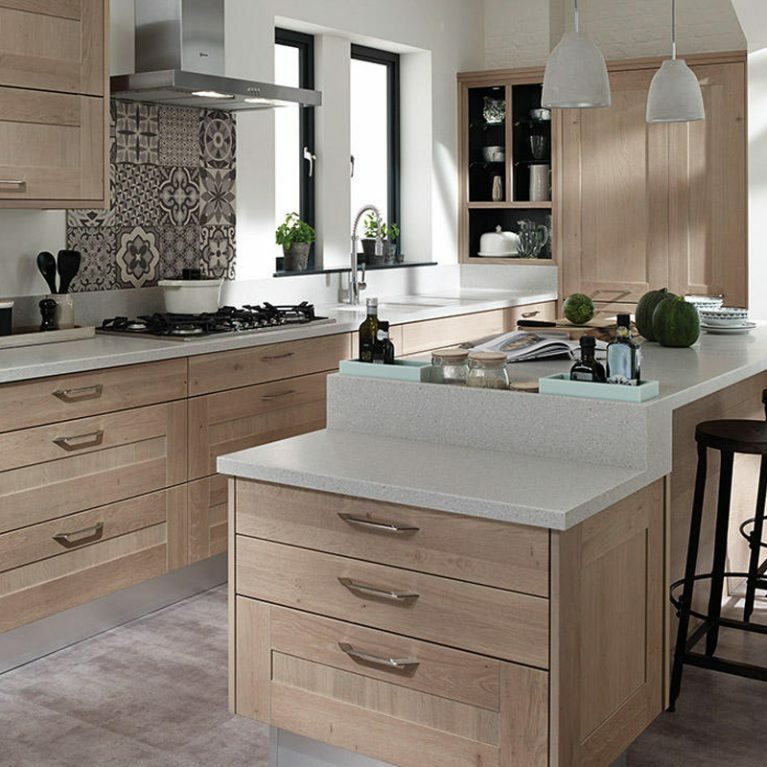 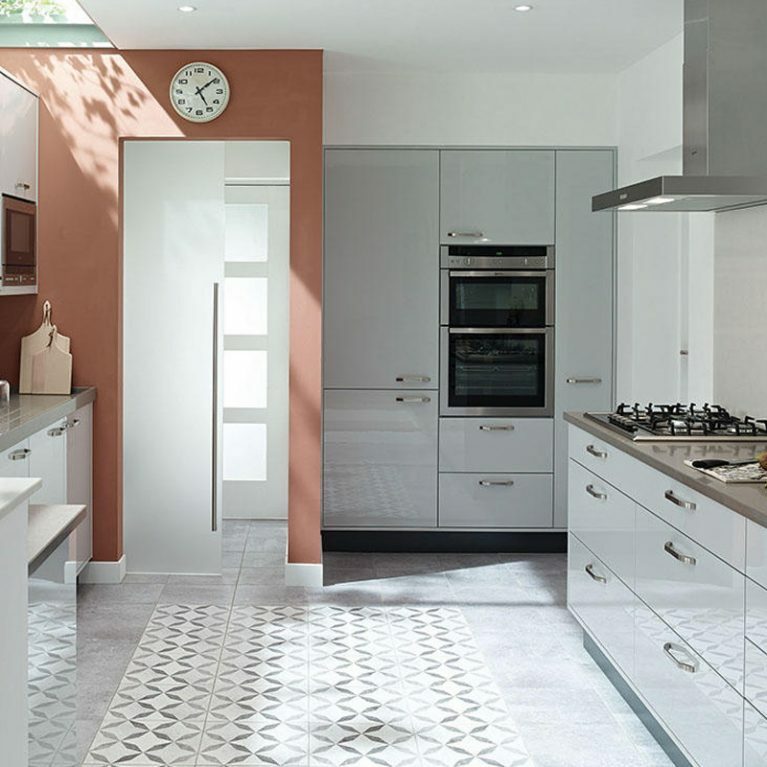 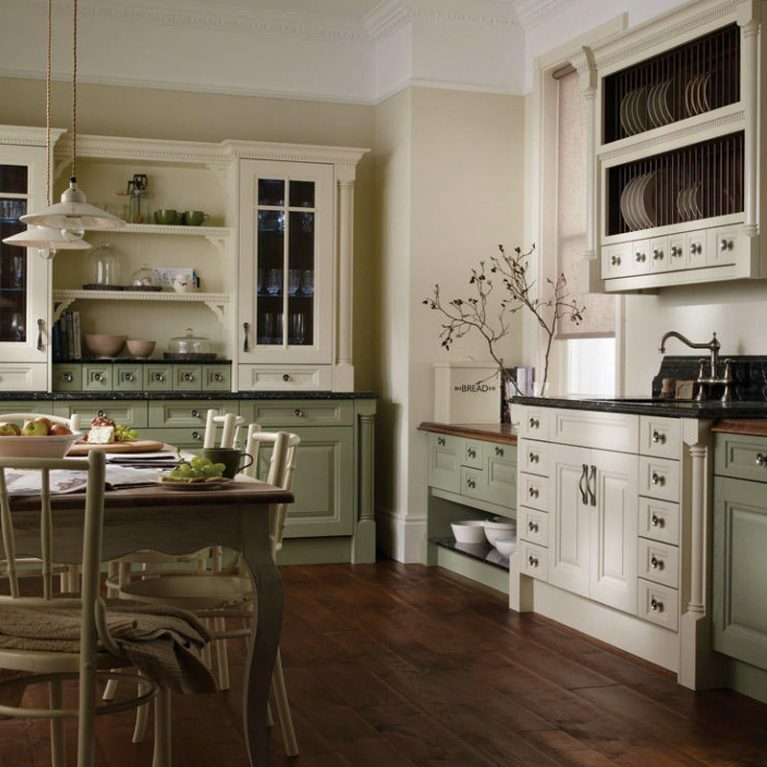 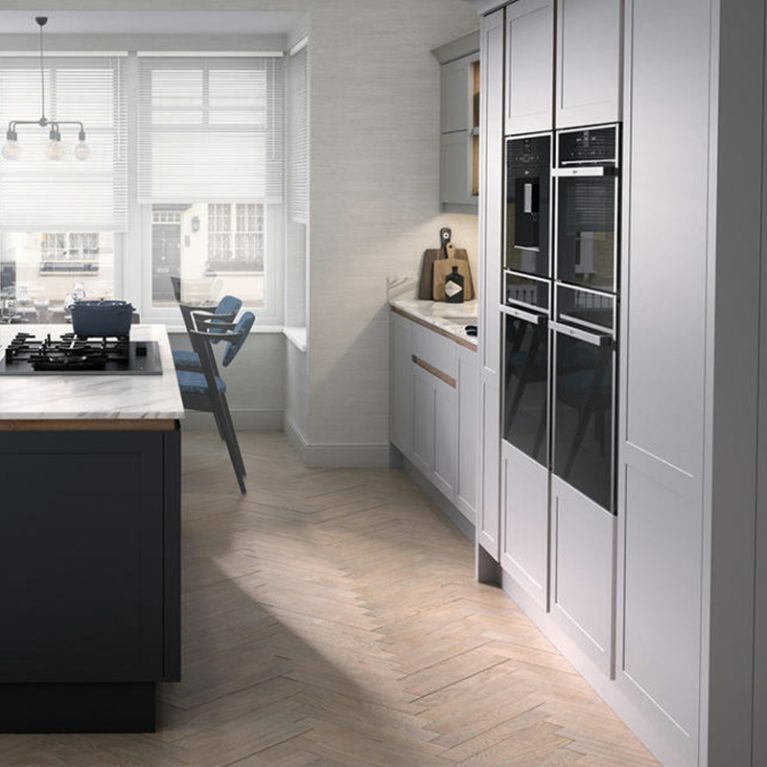 Alabaster is the perfect colour for your Remo kitchen, creating the most flawless foundation for you to accessorise your space with, lending itself seamlessly to any colour palette you could possibly imagine. 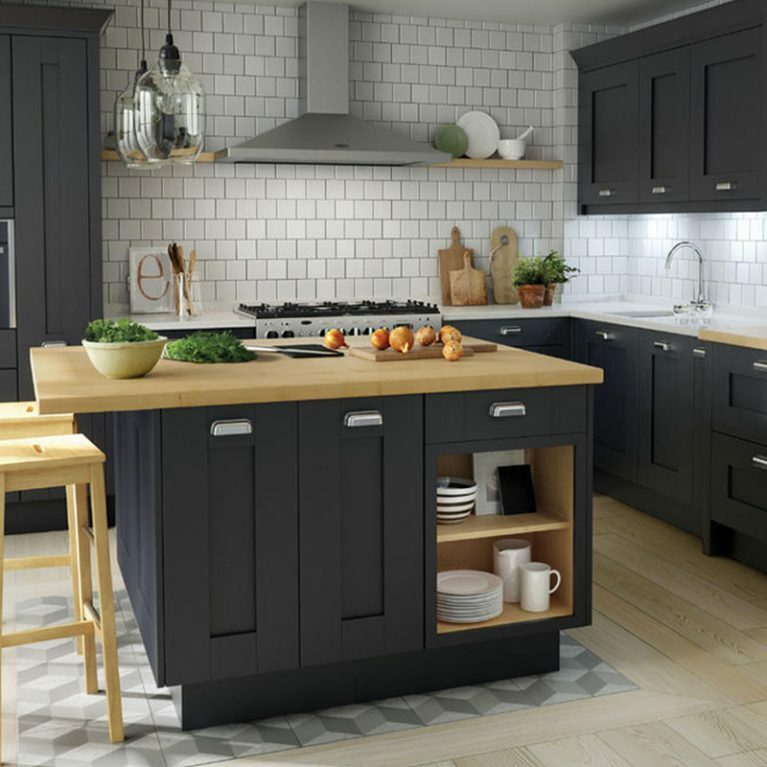 Of course, as with all Number One Kitchens’ designs, you can tweak it until it is perfect and brings your dream kitchen to life. 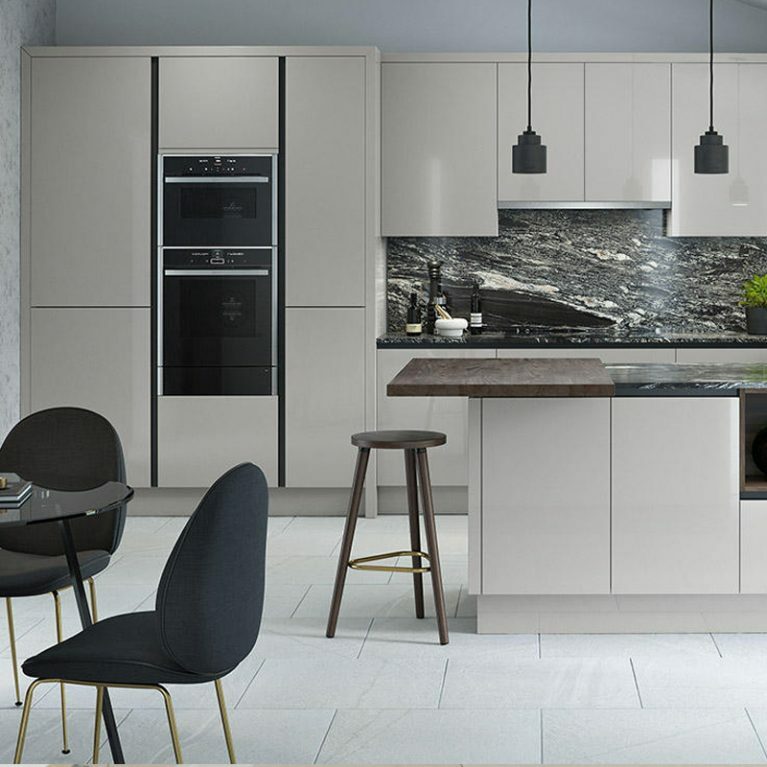 With a choice of 27 different colours to choose from, you can customise your Remo contemporary alabaster curved gloss kitchen from a range of different colours. 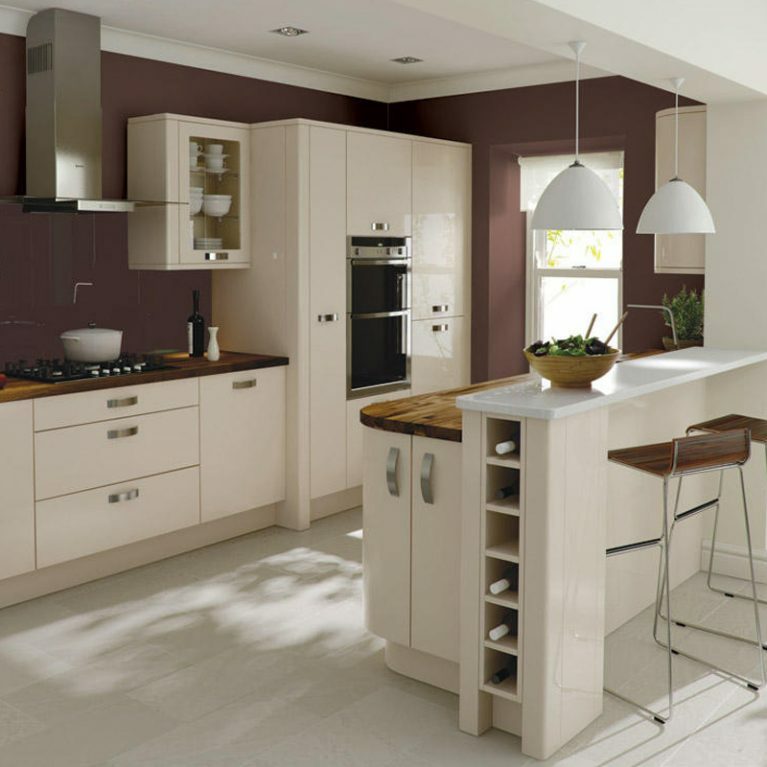 More neutral shades are available, as well as gorgeous vibrant colours if you want something bright. 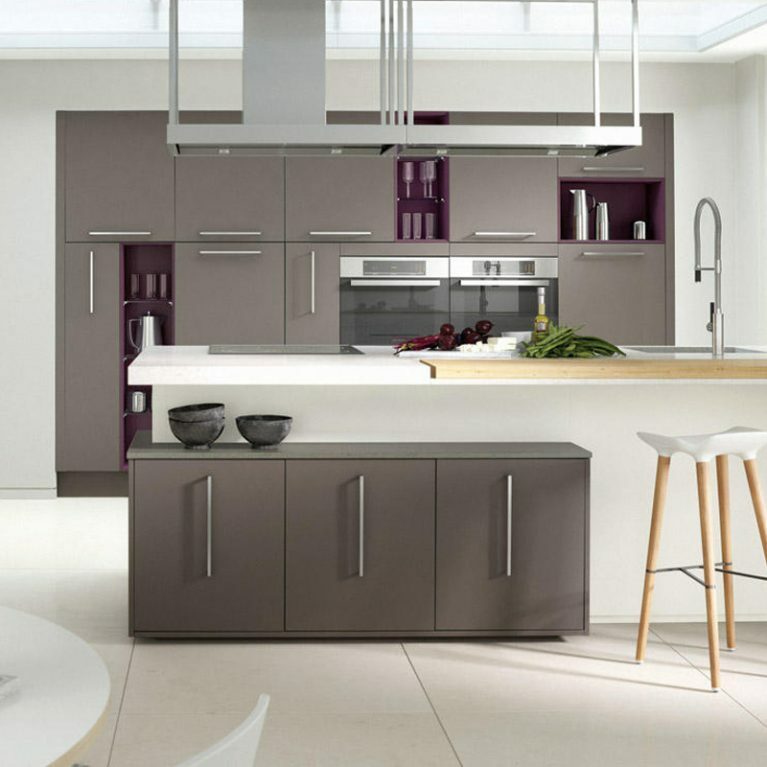 Each colour can be found in either a matte or gloss paint, depending on your personal preference. 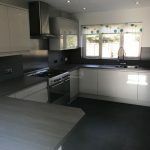 Finished with a beautiful black work surface, the contrast between light and shade is quite striking here. 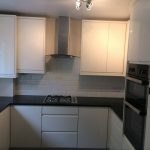 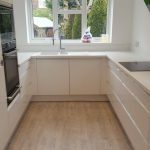 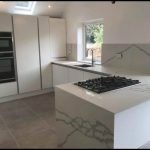 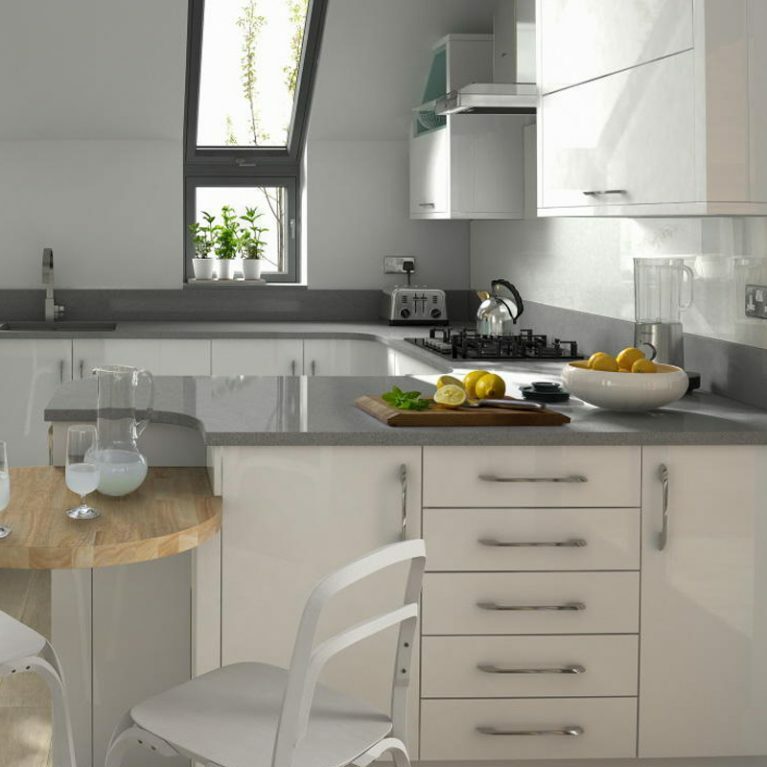 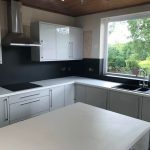 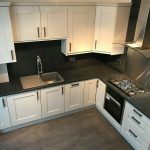 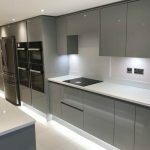 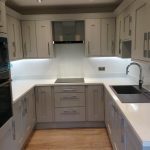 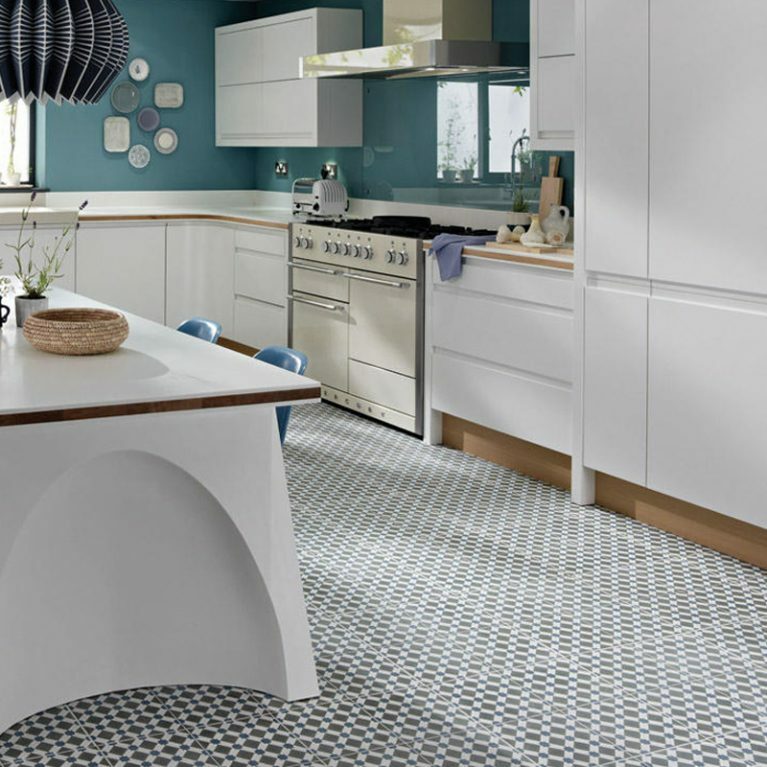 Alternatively, you can choose a worktop that suits your style, choosing a cool contrast as pictured here, or something closer to your cupboard doors that will make a seamless style.